International Idol Competition Returns June 7: Do You Have What It Takes? Once again, Soo Theatre Project, Inc. & All Good Soundz Present... International Idol! Returning for a much-anticipated second season on June 7, International Idol is American Idol meets Rock Star: INXS. Contestants will be judged—sometimes harshly—based on technique, presence, audience rapport, and that magical quality that makes a great performer. This is not a vocal-quality-only, Karaoke-style competition. We are looking for the best Front person in the Twin Sault Area. Own the song, stage, audience. Do you have what it takes? 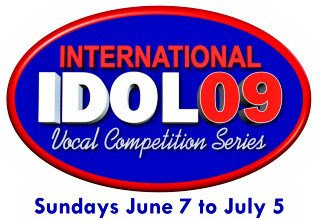 Competition starts at 7:00 p.m. on June 7th and contestants compete every Sunday until July 5th when one is crowned as the International Idol. And, yes, there will be challenges, surprises, and eliminations along the way. Contestants have until the second week (Sunday, June 14) to sign up. Grand Prize is $500 studio time at Lake Street Studio in Brimley. Second Prize is $200 studio time and Third Prize is $100 studio time, also at Lake Street Studio. Download a sign-up form from the Soo Theatre website at sootheatre.org or stop by the Soo Theatre office to register. Registration is FREE! The Soo Theatre Project has been working to try to find a show date that works but we have not been successful as yet. We were hoping to get Don and Andy back playing together here this summer, because without heat, our theatre is closed during the colder months (October to May). But as you may know from the duo’s website, after touring together for most of 2008, Don and Andy are focusing on solo performances in 2009. Further, Andy is on tour in Europe through July this year. 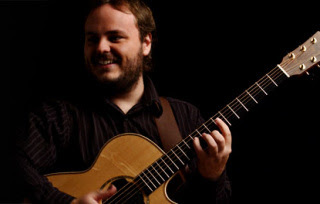 Andy’s last world tour date is July 25 in the UK (andymckee.com). He has signed a deal with a new record company, Razor & Tie (razorandtie.com), and he will be coming off the road after two and a half years to take some time to do a new album. In June he’ll be in New York City to record an EP with the new company that will be released via iTunes only. But, to honor his pledge, he’s going to give the Soo Theatre signed copies of this new EP on CD for exclusive distribution to the Soo Theatre concert ticketholders. So if you have your ticket to the July 3 concert at the Soo Theatre, you’ll be part of a very select group to ever have this EP. This CD will be personally signed by Andy McKee to commemorate the missed Soo date. Please note: this EP is coming out to the rest of the world as a digital-only piece at the time of release - so on a good faith basis please keep this as your personal physical copy (no reselling please) and as a very special thank you directly from Andy. We should be announcing the availability of this limited-edition CD sometime in July. Stay tuned to the Soo Theatre website at sootheatre.org for further information on how to get the CD. 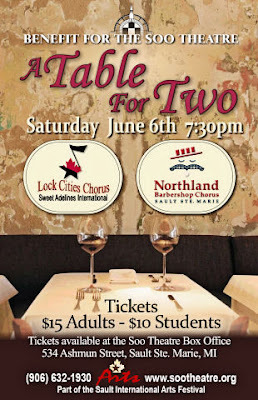 A Table for Two will be kicking off the 2009 Season in the Soo Theatre on June 6 at 7:30 p.m. This terrific show features the Lock Cities Chorus of Sweet Adelines and the Northland Barbershop Chorus. The two choruses are repeating (with a few additions) part of the annual show that the men’s chorus held in April in Sault Ste. Marie, Ontario. Each of these choruses boasts members from both sides of the St. Mary’s River. The show will benefit the Soo Theatre Project. The script for A Table for Two was written by the directors of the two choruses, Judy Hendrickson and Bob Shami, and Northland Chorus member Steve Patterson. Steve will be playing the part of Gaston LeBlanc (aka Gus White), the maître d’ of a nightclub that is sponsoring a speed dating session. Enter the two choruses—the women very excited at the prospect of meeting someone, the men very nervous. Tickets are $15 for adults, $10 for students, and are available at the Soo Theatre Box Office or at the door. You will enjoy this evening of song and comedy with as many as 60 singers and actors on stage. Be sure to join in the fun and help support the Soo Theatre Project. The Soo Theatre is located at 534 Ashmun St. in Sault Ste. Marie, Michigan. For more information, contact the Soo Theatre at (906) 632-1930 or go to our website at sootheatre.org. The Soo Theatre Project is partnering with United Way of the EUP and LSSU for their upcoming Disney Dance STARS production. The shows begin at 7 p.m. on Friday and Saturday, May 15 and 16 at the LSSU Fine Arts Center. Soo Theatre is sharing a portion of their proceeds with United Way. 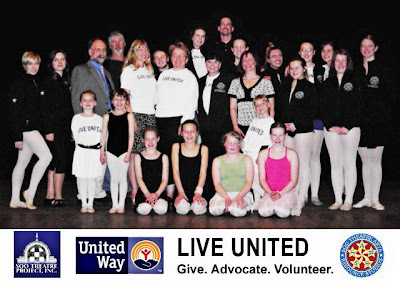 Pictured in the center of the photo are: Tom Davis, director of the LSSU Fine Arts Center; Valerie Povey, president, and Molly Paquin, executive director of United Way; Dianna George, director, and Kaley Darga, assistant director of the Disney Dance STARS production. Others pictured include: Footlights: Liz Jacobus, Anna Farney, Martina Vollman, Karen Donarski, Livia Francis, Rebecca Neveu, Meaghan Buckley, Kim Badenski, and Rose Sheid; Stage Managers: Mike Vollman, Tom Gage, and John Heinzelman; and Young Dancers. Tickets are available at the Soo Theatre or at the door. For more information on the show, see our previous posting. Tuesday, May 5th at 7:00 p.m.
Friday, May 1, 7 p.m.: Student recital. Central United Methodist Church, 111 E. Spruce St.
Friday, May 8, 7 p.m.: Student recital at Faith Lutheran Church, 1600 Park St.
Sunday, May 10, 3 p.m.: Mother's Day concert featuring Suzuki violin students, the Intermediate Youth Orchestra, the Senior Youth Orchestra, and the "Not Quite Ready for Prime Time" Players. First Presbyterian Church, 555 Bingham Ave.
Saturday, May 16, 2 p.m.: Student recital. Central United Methodist Church, 111 E. Spruce St.
All performance venues are located in Sault Ste. Marie, Michigan. For more information, contact the STARS office at 632-1930.